Anti-lock brakes are one of the many systems on a vehicle that are all-or-nothing. This means that like an airbag system, if one part of the system is faulty, the entire feature will disable itself in the name of safety. An illuminated ABS light can indicate a multitude of failures just as a check engine light would. A good place to start diagnosis is at the ABS wheel speed sensors. Without a scan tool capable of reading ABS codes, a visual inspection is the easiest thing to do when diagnosing an ABS light. ABS sensor wiring can be inspected from underneath a vehicle that is safely supported on ramps – you may not even need to take the wheels off. If any sensor wires are frayed, corroded, or completely broken – problem found. ABS sensors can accumulate ferrous deposits or dirt that will impede their ability to read speed information. Removing the sensor is the best way to clean it, and in most cases, chemicals are unneeded. When cleaning fails, testing via multimeter or ABS scan tool is the next step. If all looks good, it is still possible for an ABS sensor to fail internally. With an ABS sensor disconnected you can probe the terminals with a multimeter, eliminating the need to remove the sensor from the vehicle. Both passive (2-wire) and active (2 or 3-wire) ABS sensors can be tested for basic functionality with a multimeter. Research which type of sensor your vehicle has before proceeding. Most vehicles allow access to the ABS sensor harness inside the cabin, rather than having to jack the car up and take a wheel off. For front sensors, check near the inner strut towers – this is where the ABS sensor wires usually intrude into the engine bay. For rear sensors, under the rear seat cushion or inside the trunk are the common junction points. On a passive ABS sensor, measuring resistance across the signal and ground leads generally produces a reading of 800-2000 ohms. A steady reading within this range indicates a good sensor. If the resistance is constantly changing or increasing on the meter, the sensor is faulty. An internal short, a cracked housing, or moisture intrusion are just a few reasons why a sensor may have failed. If the multimeter indicates an open (no resistance) or short circuit, this is another indication that the sensor is faulty. A replacement Holstein ABS sensor should be purchased prior to removing the bad sensor to keep the vehicle drivable. Holstein Sensors match the fit form and function of OE sensors at a more competitive price than the Dealer. 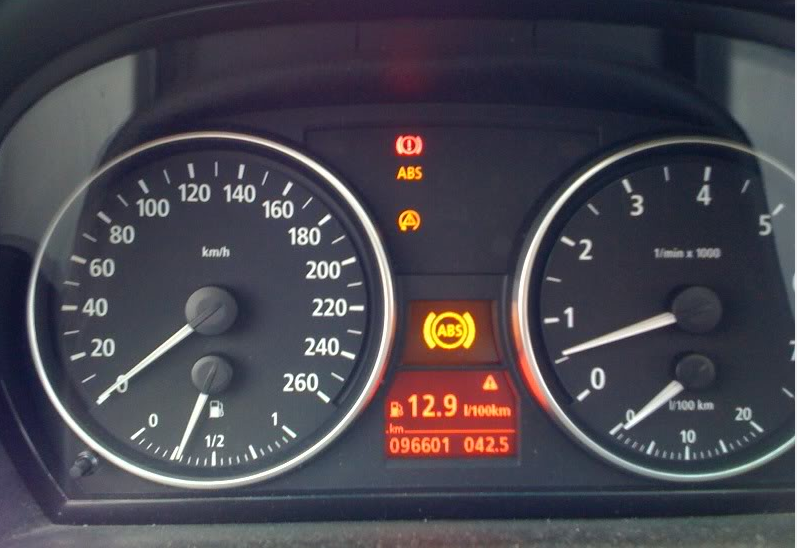 An ABS light can indicate many things from pump failure to a dirty wheel speed sensor. A DIY’er can save money on parts and labor by gathering a successful diagnosis through proper testing and inspection procedures. Before taking a vehicle to the dealer, consider the DIY approach – most ABS faults can be fixed easily on your own for a fraction of dealer or independent shop rates.